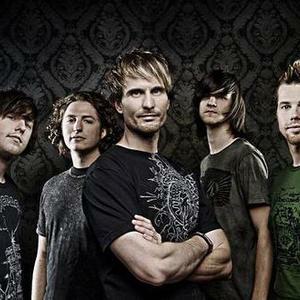 Julian Drive is a Christian Rock/Pop band that is committed to using their gifts and talents to honor and serve God. Current Members: Shane Bowers - Lead Vocals/Guitar Shaun Bennett - Guitar/ Keys/ BGV's Jesse Triplett - Lead Guitar/BGV's James Nitz - Bass/ Jazz Flute The primary objective of Julian Drive is to effectively execute Christ?s commission by utilizing their musical forum to attract the hearts of Christians and non-Christians alike. The primary objective of Julian Drive is to effectively execute Christ?s commission by utilizing their musical forum to attract the hearts of Christians and non-Christians alike. Pioneered by lead singer Shane Bowers and keyboardist Shaun Bennett, they quickly became more than a local worship band, with the arrival of guitarist Jesse Triplett, who barely out of his teens, was a prodigy in the making. After creating such a buzz in the local circuit of churches near their hometown of Athens, GA, in 2005 Julian Drive (then known as Refuge) was invited to participate in a Winterfest conference. There were over 20,000 in attendance. Over the next couple of years the demand for Julian Drive increased across much of the country due to this added exposure. They began playing Winterfest Conferences coast-to-coast in 2006. This national platform enabled the guys to go on the road full time sharing the message of Jesus Christ. Another key and crucial element was added that same year when gifted bass player James Nitz, came on board. By 2007 the band had played more than 260 events coast to coast and continue to do so today. In April of 2008 they signed with Inpop Records. Julian Drive has been used as vessels to lead hundreds of kids to Christ. They have shared the stage with such artists as Rush of Fools, Building 429, Big Daddy Weave, David Crowder Band, Day of Fire, Tree 63, Article One, Newworldson, Paul Colman, The Katinas, Salvador, NewSong, David Phelps, Disciple, and Israel Houghton among others. Producer, Lynn Nichols, has been quoted as saying, "Julian Drive's music represents the heartland of America in style, and the heart of God in spirit. The unique style of their music is a product of Julian Drive's blend of all their musical and spiritual influences."